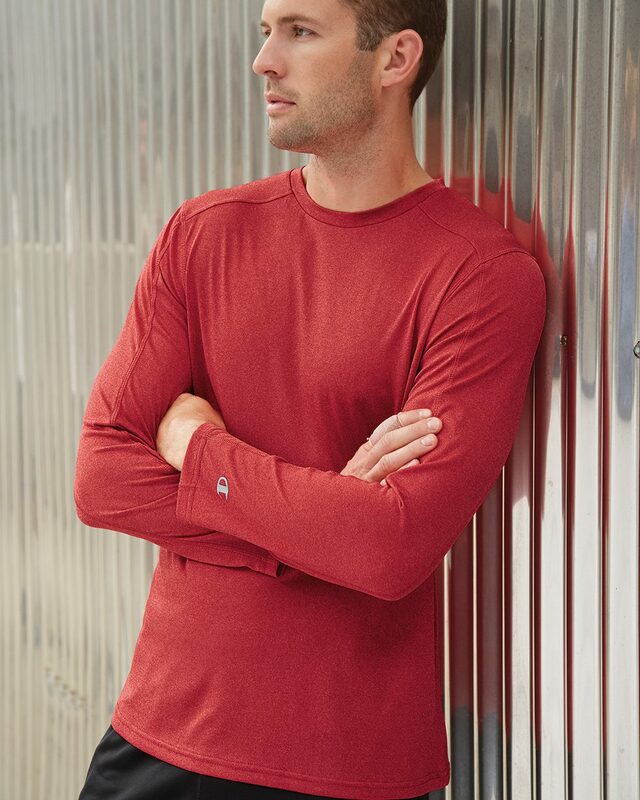 Champion - Vapor Performance Heather Long Sleeve T-Shirt (CV26) 3.8 oz., heathered 100% polyester. Wicks moisture away from the body and helps control moisture build-up. Three-needle cover-stitching throughout. Snag resistant. Reflective "C" logo on left sleeve. Champion script at center back neck.